Chrissy Teigen, John Legend, Lewis Hamilton and Usher took a break from the red carpet struggle. 4. 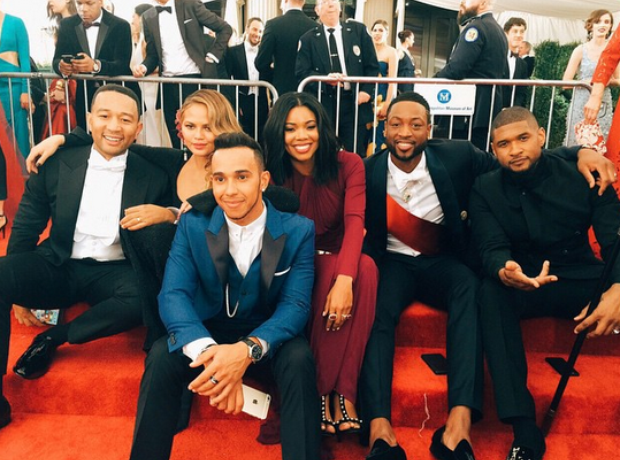 Chrissy Teigen, John Legend, Lewis Hamilton and Usher took a break from the red carpet struggle.